Come party with us Brazilian Style!!! Yearly Brazilian Party for our event Grilo Capoeira – Workshop Leiden 2017. This year our event party will be combined with a special occasion. 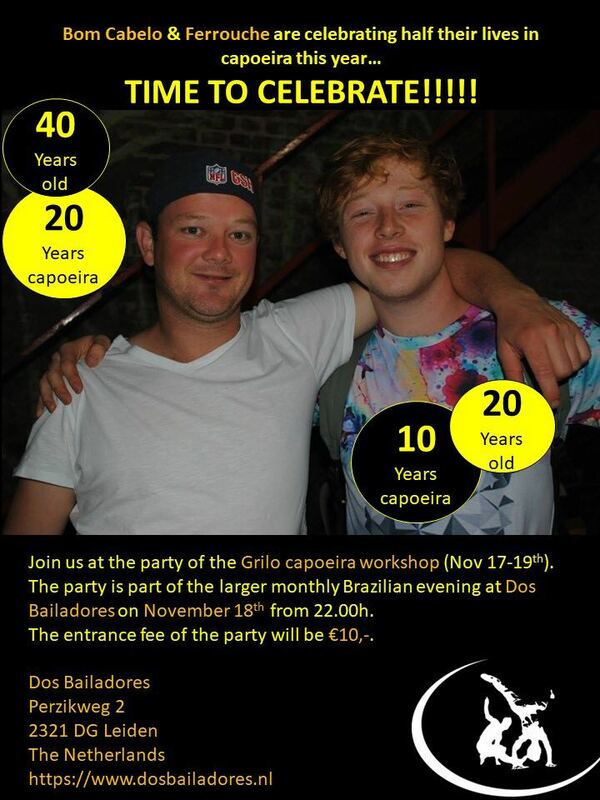 Bom Cabello and Ferrouche, two of our group members from Grilo Capoeira Leiden, are celebrating half their lives in capoeira this year!! Our party will be part of the monthly Brazilian Night at Dos Bailadores.